Home News Samsung is making 1TB memories for smartphones, do we need so much? Samsung is making 1TB memories for smartphones, do we need so much? Due to the large number of smartphones in the market there are hundreds of different configurations . In terminals with Android operating system what is usually increased is the RAM. There are models with 8GB of this type of memory, equal or more than in some laptops or desktops. But internal storage is not far behind either. Mobile phones with Android have always had an advantage over the iPhone in terms of internal storage capacity. Most usually incorporate a tray for cards MicroSD with which to expand the available space. However, more and more manufacturers are dispensing with this feature, mostly because of design issues. The most normal thing is to find smartphones with 64, 128, 256 and, even, 512GB of internal storage. We would have to host a lot of photographs, videos, songs and install dozens of games to exhaust the available space, which almost no user ever fulfills. 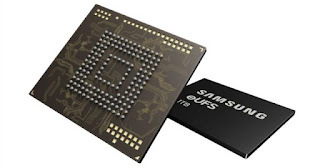 However, Samsung wants to go further and is already making 1TB chips for smartphones. 1TB of internal storage on a smartphone, who needs that, Samsung? The South Korean manufacturer took an important step with the Samsung Galaxy Note 9. After the resounding failure of Note 7 it seemed that the Note range had no future, but nothing is further from reality. Samsung announced the ninth generation of this mobile phone as the first to be compatible with 1TB of memory , but there was trick. 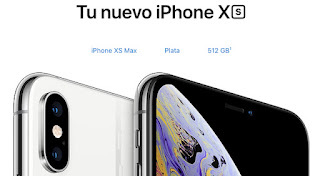 As The Verge says, to reach that capacity you have to insert a 512GB MicroSD card, in addition to having the Samsung Galaxy Note 9 of 512GB, the most expensive model. However, with the new Samsung chip we would not require that extra help and we would have a terabyte as standard. If 512GB of internal memory is already a savage, the terabyte is crazy. No, nobody needs such storage capacity in a smartphone , because no matter how hard a work tool is, it is not used in the same way as a computer. No video or professional-level photographs are edited from a smartphone, and few people will have to write or edit lengthy text documents or presentations. Will Apple ever come to offer an iPhone with 1TB? Insurance. Currently there is the possibility of acquiring an iPhone XS or XS Max of 512 GB, the limit capacity. Like an Android smartphone, an iPhone will never take advantage of it. It's an unnecessary expense that can be invested in a good AppleCare + case and protection , and if you ever need extra space you can buy an iCloud plan with what's left over and, in passing, use it with more iOS or Mac devices. Or use other services in the cloud to store photographs.